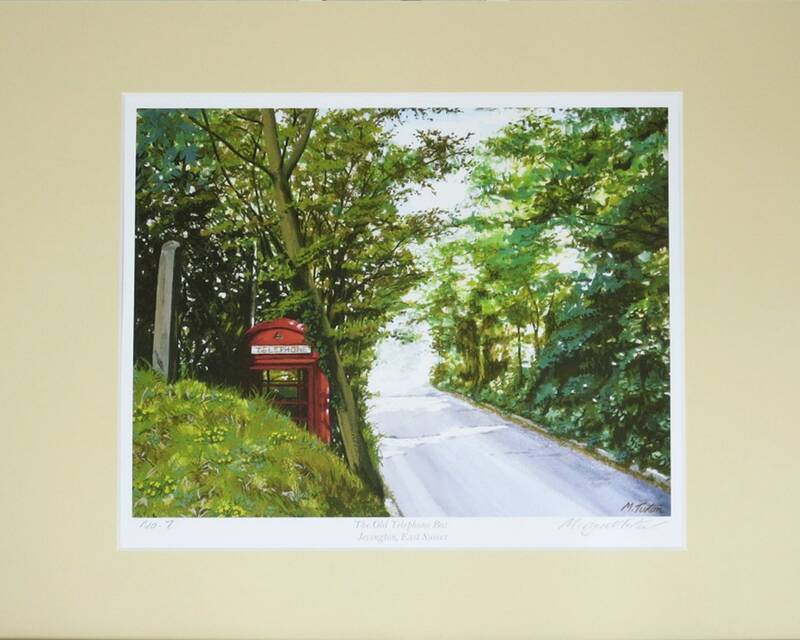 A traditional English red telephone box in the Sussex village of Jevington. 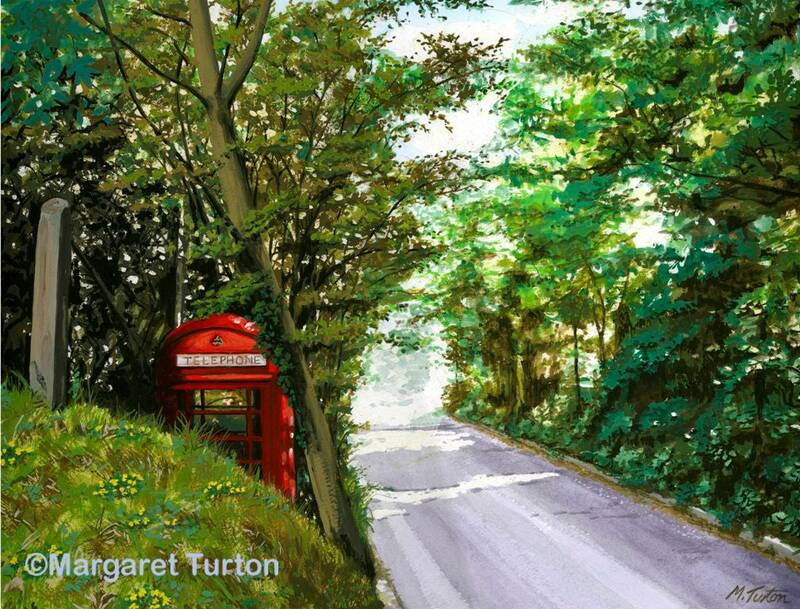 From an original watercolour by Margaret Turton. Print signed and numbered by artist. Mounted with conservation grade board, pale beige. Fits standard British frame 12" x 15"